The latest issue of High Performance Buildings magazine features a piece on the John J. Sbrega Health and Science Building at Bristol Community College. 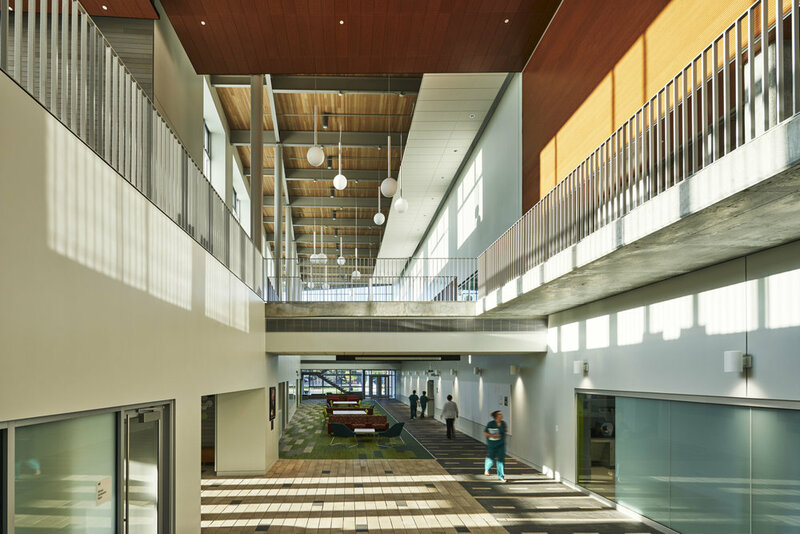 The article focuses on the design process and the design team's holistic approach toward energy efficiency and the goal of zero energy performance, still considered a tall order for a building of this type, normally a significant consumer. The building in fact performed better, or more efficiently, with a lower energy use intensity (EUI) than predicted by the energy model, producing more energy than it used and putting it in the net positive range for the first year of operation. The New Buildings Institute, which monitors the performance of buildings pursuing zero energy goals, has verified the Sbrega Building's status in its 2018 report.